In 2014, SFMOMA commissioned me to research games in museums, which resulted in the white paper Games for Museums, Museums for Games. This article summarizes that report. PlaySFMOMA, a new initiative that draws from this work, is an experiment designed to facilitate a more playful museum experience. In the coming months, a game designer will take up residence within the museum context to create an original game designed specifically for museum visitors. This type of collaboration is unprecedented for an art museum of SFMOMA’s scale, and it embodies many of the ideas highlighted in this report. Since then, a lot has changed in the realms of critical theory and practical development relating to play. Much of this can be attributed to the work of a handful of scholars, including Mary Flanagan, Ian Bogost, and Eric Zimmerman, who have produced significant bodies of scholarship rooted in the long-standing art historical tradition of games. Simultaneously, contemporary artists have started receiving more critical recognition for creating deep, intimate, and experimental games. Meanwhile, the open-source movement has facilitated the simplification and availability of game-making tools, opening up the field to new voices and stories. These factors are key to the recent embrace of game making and game culture among museums. 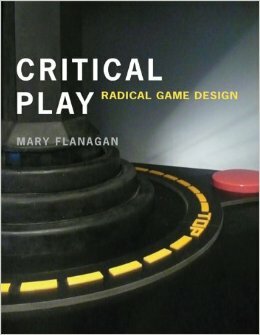 Mary Flanagan’s book Critical Play (MIT Press, 2009) has been foundational to contemporary discourse surrounding artist-made games. This sea change has made games fodder for much art historical research. When scholars working in this realm talk about games in museums, they’re usually referring to games created by individual artists or small groups of them.2 Most artist-made games eschew familiar tropes, for instance racing or first-person shooters, and focus on new kinds of subjects (examples include the inevitability of death and hormone replacement therapy), rely on handmade hardware or artifacts, and/or experiment with new ways of interacting within a game. While video games are a relatively recent development, the art of game making has been around for thousands of years. 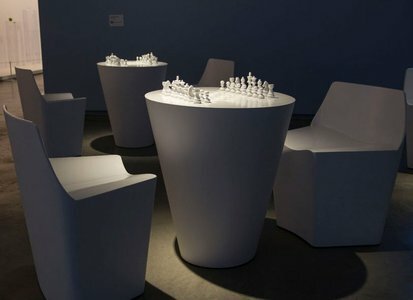 From intricately carved Egyptian Senet sets from 3500 BCE to Yoko Ono’s all-white chess set Play It by Trust (1966), to Anne-Marie Schleiner, Joan Leandre and Brody Condon’s, pacifist interventions in Counter-Strike via their mod Velvet-Strike (2002), artists have consistently used games to attempt to dissolve the boundary between themselves and the public. Games are especially interesting tools in this context because they invite players to step inside what the play theorist Johan Huizinga referred to as “the magic circle,” an area in which players suspend disbelief and temporarily buy into an alternate reality where traditional norms, restrictions, and ethics of society don’t apply.3 Once inside the magic circle, players are more likely to experiment, take risks, and consider alternative perspectives. Yoko Ono, Play It by Trust (1966). Image courtesy the Museum of Contemporary Art Australia. Many collaborative and experiential qualities of analog and digital games overlap with museums’ commitment to public engagement. Many institutions create temporary programs and interventions intended to reach people who might normally feel that they don’t “get” art. These programs can take the form of sleepovers, concerts in underused museum coatrooms, or adults-only evenings featuring cocktails and live music. 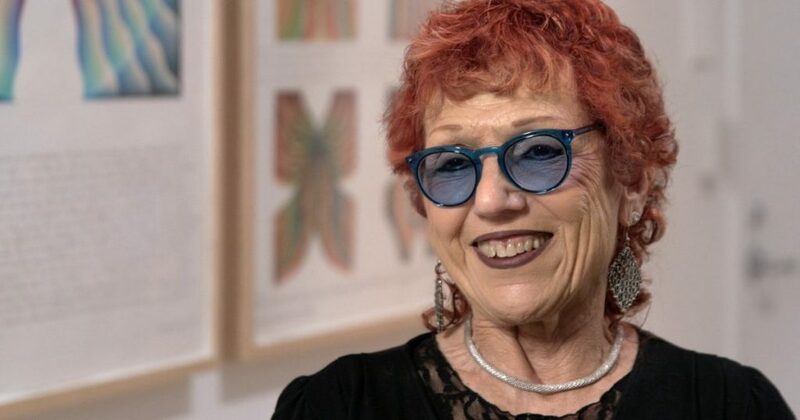 This is one of many outgrowths of trends in institutional critique that began in the late 1970s and early 1980s, in which artists responded to what they perceived as narrow curatorial and art historical approaches shaped by centuries of privilege and homogeneity. Present-day museums are beginning to recognize that games exert a significant amount of cultural influence, based on statistics revealing that half of all Americans play games; in fact, 42 percent of all Americans play video games at least three hours a week.4 As a result, many museums are supplementing the language of more traditional visual art with video games, which employ a familiar visual language and necessitate interactivity. Games facilitate direct audience engagement, as opposed to art forms such as painting and sculpture, which audiences contemplate from a distance. The fact that games rely on people to activate them means that they can reach audiences in ways that more traditional art forms cannot. 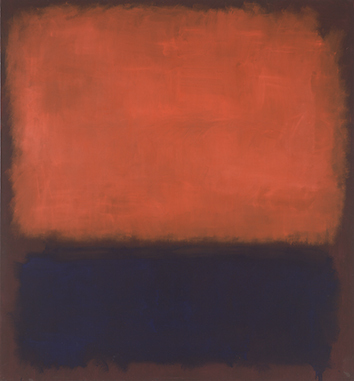 Mark Rothko insisted that his work be viewed from a distance of eighteen inches. Beautiful. Sublime. But certainly not hands-on. This is No. 14, 1960 (1960). Building on the art historical tradition of artist-made games, many contemporary artists are doing incredible work within the medium (examples include Kaho Abe, Robin Hunicke, and KO-OP Mode, to name just a few). But beyond exhibitions, games are being incorporated into galleries in another way: as educational tools. You may have heard the oft-maligned term “gamification” in this context, otherwise known as the application of gamelike elements or mechanics to imparting information or changing behaviors.5 Unfortunately, more often than not, gamification entails applying some of the least-fun aspects of games (specifically time limits and competition) to subject matter. Institutions have attempted (with varying degrees of success) to integrate games as methods for deepening public engagement with exhibitions of more traditional art forms. 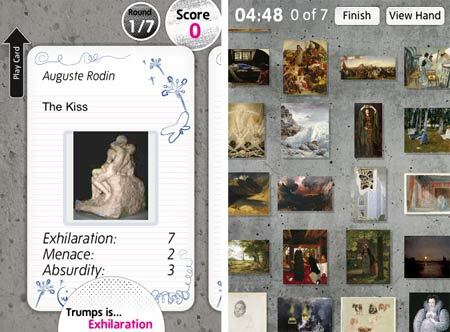 Projects such as Murder at the Met (2012) and Getty Games involve close-looking strategies and analytical questions based on specific artworks and are played on mobile phones and the web. Both are targeted toward children. Games such as the Smithsonian’s Ghosts of a Chance (2008–10) target older audiences by challenging them with scavenger-hunt-like challenges inside the museum. Tate Trumps (2010) skews toward older audiences as well. In this game, players pit specific artworks against each other in a game that encourages analysis, comparison, and discussion. Tate Trumps, Hide and Seek (2010). Image courtesy Hide and Seek. It’s not so easy to craft a game that is both fun and educational. Many arts institutions have limited design resources, as well as pressures to integrate many learning objectives into one activity, which can create conditions that are decidedly un-fun. These games frequently lack the qualities of exploration, freedom, and experimentation that make games enjoyable. Further, many museum games are dependent on technology, specifically mobile phones, which direct museumgoers’ attentions away from the artworks. Testing is another important aspect of this process. While a game can feel perfectly designed to the team making it, testing using real players can defeat the makers’ expectations. In order to be truly successful, games must be tested and iterated upon at several points during development. 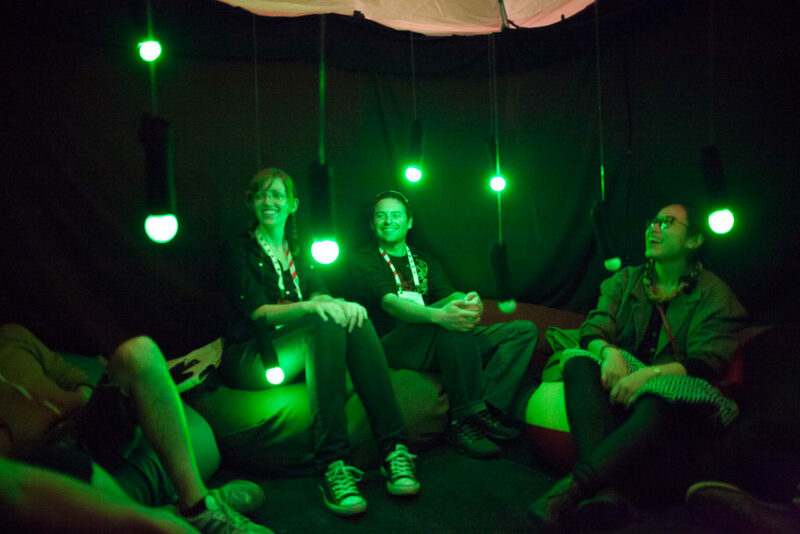 Installation view of Ahhhcade (2013), a daylong gaming event at SFMOMA co-curated by the author, Babycastles, and SFMOMA. Here, an installation view of Doug Wilson, Marvelous Melodies of Mutazione (2013). Image courtesy Chris Brennan. To forecast the future of gaming in museum contexts, we should look outside the sector at alternate spaces, many of which excel in this arena. One of my favorite entities working with artist-made games is Babycastles, an alternative space in New York. Aside from being at the forefront of independent game making in the United States, their community excels at creating spaces that feel festive, experimental, and welcoming. Unlike many other media arts institutions, the gallery isn’t a clandestine room of monitors and controllers, but houses murals, custom installations, and special arcade cabinets that shift with exhibition content. Some recent projects include exhibitions on Islamic voices in games, queer games, and Ahhhcade, an exhibition of relaxing games co-curated by Babycastles, myself, and SFMOMA in 2013. I’d love to see more game installations like this. And I encourage those designing educational games to attempt to incorporate a similar spirit of playfulness and openness in their projects. I’m hopeful that museums will continue to move away from the idea that games are exclusively for children, and design more games targeted toward adults, with the intention of transforming galleries into their own type of magic circle. Roger Ebert, “Video Games Can Never Be Art,” April 16, 2010, https://www.rogerebert.com/rogers-journal/video-games-can-never-be-art. The 2012 exhibition The Art of Video Games at the Smithsonian American Art Museum, however, focused almost exclusively on commercial games. Johan Huizinga, Homo Ludens: A Study of the Play-Element in Culture (London: Routledge, 1949), 9–12. “2015 Essential Facts About the Computer and Video Game Industry,” March 1, 2015, https://www.theesa.com/wp-content/uploads/2015/04/ESA-Essential-Facts-2015.pdf. 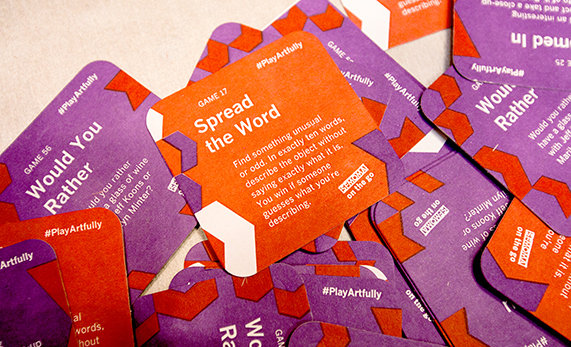 My favorite examples of gamification are the Fitbit and the Subway rewards card. Both are effective tools for measuring and rewarding preexisting behaviors, as opposed to establishing new ones. Sarah Brin is a writer and curator. She works with artists and creates public programs at the Pier 9 Workshop in San Francisco.